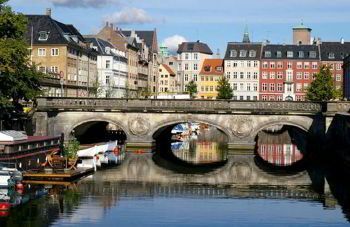 For an unforgettable trip to Copenhagen, each can book a modern minivan in Copenhagen and travel with high comfort. Traveling with a van rental company in Copenhagen is quite a sensible solution to rent a right minibus. This service will help every tourist to get the maximum pleasure and spend time in this city as efficiently as possible. Minibus accommodates from 4 to 24 passengers, which is ideal for groups of tourists traveling to Copenhagen for excursions or for going with large groups of workers. The service allows hiring professional chauffeurs who will transport any number of passengers to the right place at the right time without any problems. 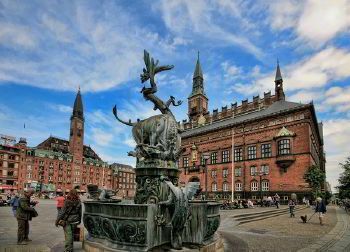 The main attraction of Copenhagen and one of the symbols of Denmark is the bronze sculpture "The Little Mermaid," located in the port, at the entrance to the Copenhagen harbor. A fabulous monument and the place itself are the starting point for most tourists coming to the city. No less crowded in the square in front of the Town Hall. Tourists linger near the originally painted facade, astronomical clocks, sculptures. From the square each can continue walking along the central pedestrian zone of the Danish capital - Stroget, which includes five passing streets: from Frederiksberggade to Esztergade, overlooking the New royal square. Look at the Danish capital from a height of 36 meters and at the same time orient yourself along the route by climbing the Round Tower - a famous architectural monument of the 17th century, now combining the functions of the observatory and observation platform. It is impossible to penetrate the atmosphere of the city on the three islands without a cruise on a water tram and bike tours around the city. It is worth seeing the grandiose Öresund Bridge connecting Copenhagen with Malmö at least once, and, of course, taking a photo of this landmark. Finally, it will not be possible to pass by at least one of the most well-known flea markets in Copenhagen. Classic restaurants, especially fish, are equally attractive. Minivans are designed for comfortable, fast and productive travel to distant places of the cities of Europe. All the cars are very reliable and fast, so everyone can not worry about their safety and do not doubt that he will be in the right place at the right time. Inside the cabin is very comfortable, the chairs are comfortable, and everyone has a reliable seat belt. Also on the road, tourists will not be bored since all models are equipped with audio and video system for the entertainment of passengers during the trip. Thanks to the air conditioning and heating, no one will feel too hot or too cold during the journey, regardless of the time of the year. Each minivan is accompanied by a reliable, conscientious driver who quickly and safely transports any number of tourists to the right place. The drivers of the service work at a professional level and provide each with the best service helping to spend the time in Copenhagen as efficiently as possible and unforgettable. The service enables everyone to get everything from a trip to this incredible, beautiful city.